The Construction Skills Certification Scheme (CSCS) cards provide proof that individuals working on construction sites have the required training and qualifications for the type of work they carry out. The Construction Skills Certification Scheme has been reminding the industry that the Construction Site Operative (CSO) green card is no longer available and have urged all cardholders to replace their CSO card before it expires. To apply for a CSCS card you must first pass the construction Health and Safety test and Torfaen Training is a fully approved operational centre for candidates to undertake the Construction Industry Training Board (CITB) tests. 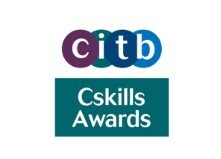 Torfaen Training is a fully approved operation test centre for candidates to undertake the CITB tests. You are required to pass the construction Health and Safety test before applying for the CSCS card.